In my 30+ years of developing female leaders I have encountered many women who feel like this. I was shocked to discover Joyce Roche, whom I knew when she was a VP at Avon, experienced this “condition.” Joyce, who appeared competent, and self-assured, was a victim of The Imposter Syndrome? In all of my encounters with Joyce, I never guessed she felt like a fraud. She was articulate, had a confident presence and was one of the few African American Corporate women climbing the ladder of success back in the 80’s. At Avon, she made it all the way to VP of Global Marketing. Back then, I chaired the Women’s Business Council of the New York Chamber of Commerce and Industry and Joyce was a member. Eventually, we lost touch. Then, one day there she was on The Today Show, holding up a copy of, and discussing her book, “The Empress Has No Clothes: Conquering Self-Doubt to Embrace Success.” Wow! I was shocked. Last I had heard, Joyce was CEO of the national nonprofit Girls Inc. You can see why I was so surprised to discover her feelings of doubt. 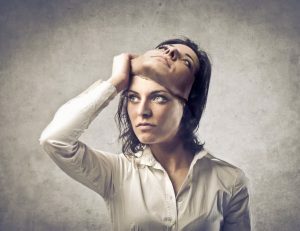 But, working with other high achieving females, I discovered there are many of us who suffer from The Imposter Syndrome. If you are feeling like a fraud what can you do? Here are three steps to get you started to change those feelings of self-doubt. Do you really not know what you are doing or are you succumbing to earlier conditioning in your life? Buy a journal that feels good to you. Mine is a beautiful leather book. Write your accomplishments from your very earliest memory. Write down the skills you used to accomplish those successes. Read it daily and add to it. It is always good to discuss feelings that create stress with someone you trust. This can be a friend, a mentor, a therapist, whomever, but do talk. Talk and you’ll be surprised at how much better you’ll feel. Talking helps. How many times have you said thank you to a compliment or praise?? Most women have difficulty just embracing the compliments and praise, often defending why or how they did it or moving on to the next topic quickly. Stop, embrace, enjoy, celebrate You! And, always be bold, be brave, be fearless. P.S. If you’d like additional strategies in breaking The Imposter Syndrome contact me.